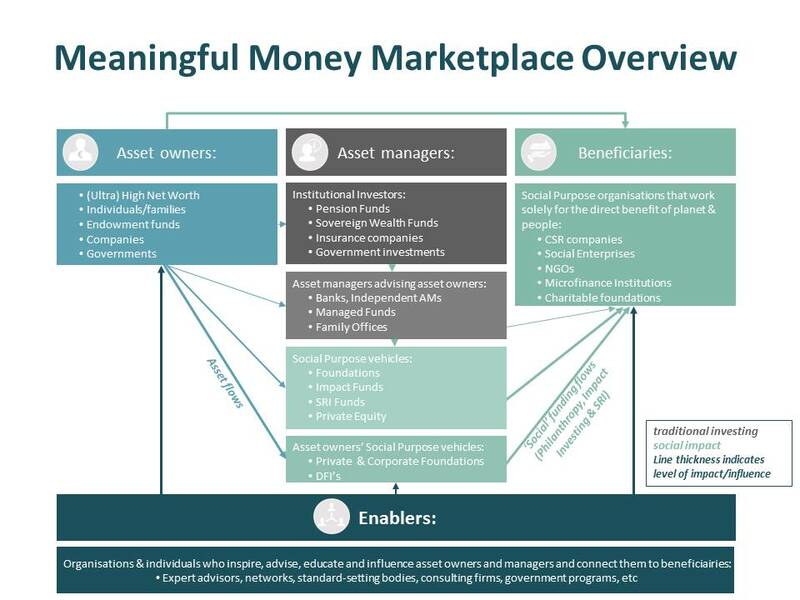 The Meaningful Money Marketplace refers to everyone who contributes to moving money from asset owners to ‘meaning’: Social Purpose organisations and initiatives that deliver value for our planet and its people. Asset owners include private individuals, companies and governments. Their investment assets flow largely to asset managers. Some assets flow directly to Social Purpose organisations (beneficiaries), but the majority of assets are still invested in traditional investments. 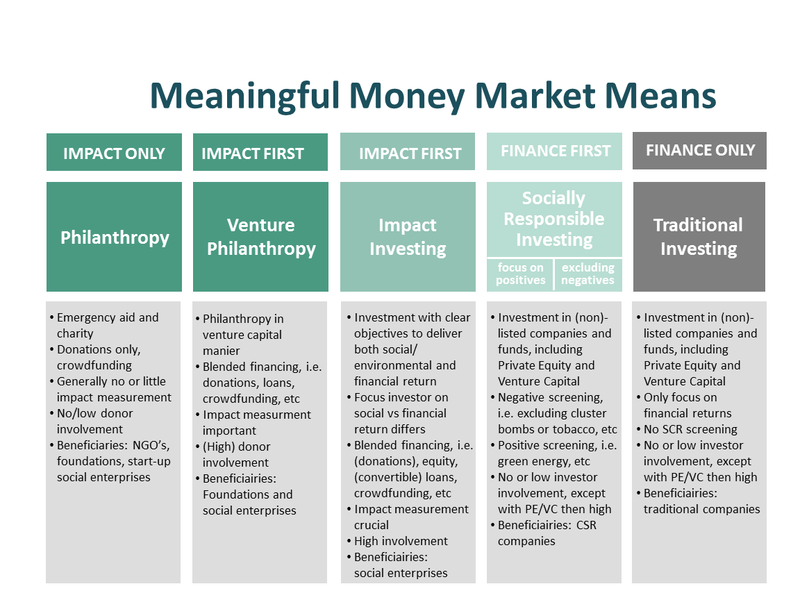 ‘Meaningful money’ refers to capital (from corporates and governments) and wealth (from private individuals) that is invested to make social impact. It can flow directly to Social Purpose organisations and indirectly via Social Purpose asset management vehicles. Corporate capital can be invested in sustainable business activities and it can be used to fund Social Purpose organisations and initiatives as part of the company’s CSR strategy. Government capital is by definition meant for the public good, but the assets of governments that are kept on bank accounts can be invested meaningfully through Social Purpose vehicles, both third party vehicles and proprietary vehicles such as Development Finance Institutions. Private wealth can be moved to meaning by using various instruments including Philanthropy, Impact Investing and Socially Responsible Investing (SRI). All these means share the purpose of contributing to a better world.